The First Presbyterian Church of Knoxville, IL purchased their current organ in 1901 from the firm of Hinners & Albertsen (Opus 458) which would later become the Hinners Organ Company. Their instruments were known for solid, quality workmanship both in the pipework and in the craftsmanship of the console and chests. The dedication of the organ took place on October 29, 1901. 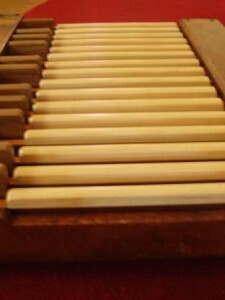 The selections marked with an asterisk below the specification were performed on that evening’s program by the organbuilder John Hinners, who was President of the Pekin firm that crafted and installed the instrument. John-Paul Buzard Pipe Organ Builders have been honored to be curators of this instrument. In the past several years the instrument has undergone restorative repairs to damaged pipework, the pedal board, and the entire tracker action. Keith Williams, head of the Service Department of John-Paul Buzard Pipe Organ Builders and a member of the Organ Historical Society, has overseen the project to insure it has been carried out within the restoration guidelines of the OHS. Swell to Pedal Pitch +/- A432.5 Hz. 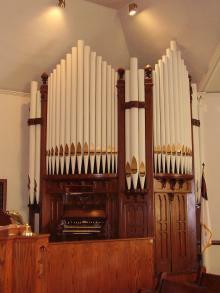 *The dedication of the organ took place on October 29, 1901. 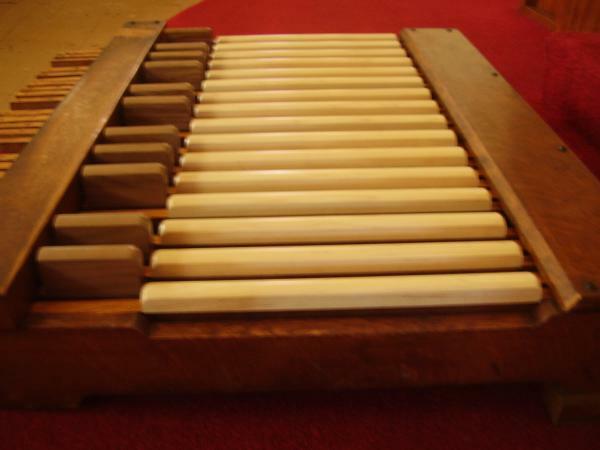 These selections were performed on that evening’s program by the organbuilder John Hinners, who was President of the Pekin firm that crafted and installed the instrument.